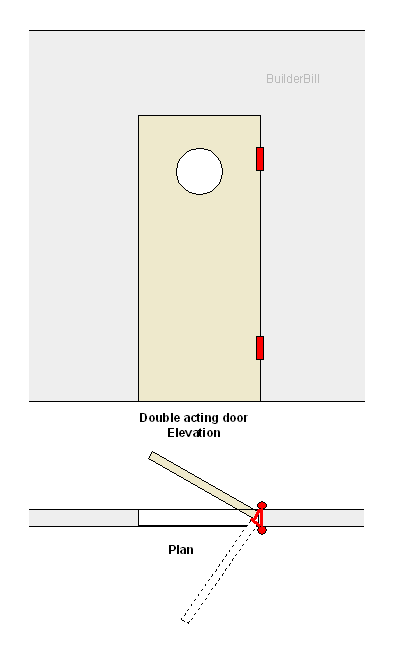 A door that will swing both ways and return to the closed position from each side using special hinges. 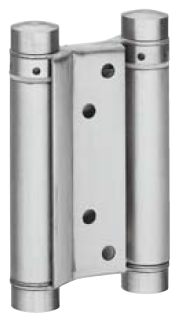 Spring Loaded hinges that have a 180 degree opening action. 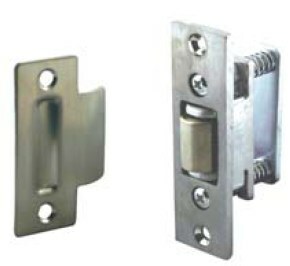 Hardware items that allow opening and closing from either side of a double action door. Pairs of short doors hinged with double actions that have the meeting stiles longer than the hanging stiles. The main place that one would see a door like the one above is between a kitchen and a restaurant. Speedy movement through the door from either side. To do this through a single door just about means that a window has to be provided. Far better of course is to arrange it so that there are two doors so that one is used for entry and the other for exit. 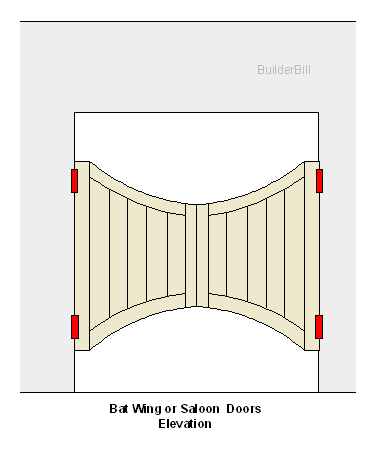 So here is a quick impression of what was known as Bat-Wing doors when I was building doors. Also double acting doors. Some of you may prefer to call them Saloon doors as they seem to feature in more old Western Movies than in real life these days. the same principal applies. Being able to see though to the other side. The double acting hinge is a strange beast. At a first glance it is hard to see how it works. The secret of course is the springs built into the barrels at each side. The springs are tensioned with a small tommy bar placed in the holes and a quarter turn or so is done at a time, each time moving the locking pins forward, until enough tension is applied to make the thing work efficiently. A Modern Stainless Steel Double Acting Hinge. Images provided by Hafele Australia Pty. Ltd. 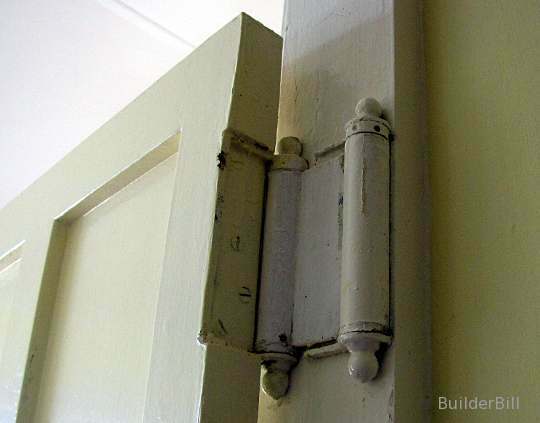 The particular roller bolt seen above is rated for a fire door. 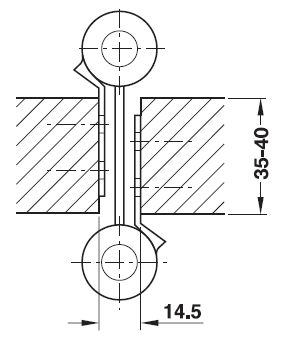 The fact that the door closes from two directions means that a standard bevelled catch will not work so these round ones that are provided with rollers make for a very smooth and quiet operation. The range of these types of fittings ranges through simple catches to mortise locks.